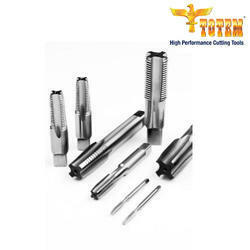 We are a leading Manufacturer of high speed steel taps from Mumbai, India. Tolerance 4H, 6H, and 7H, zone 2, zone 3, zone 4, class 1, class 2, class 3, and Gh1 to Gh7. We are offeringHigh-Speed Steel Taps to our clients.